After lengthy ageing in cellars, a precious wine is obtained: radiant, rich and extremely elegant. 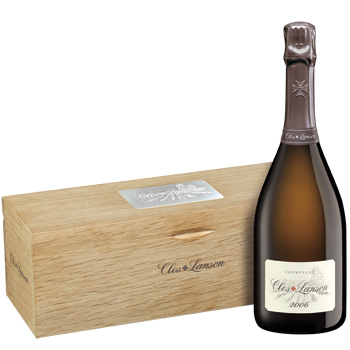 After a long maturation, the Clos Lanson 2006 has all the attributes of a very fine Chardonnay that has benefited from a controlled fermentation in wooden barrels and optimum development in the House's Cellars. In the flute, the wine is a pale golden colour with a fine stream of bubbles. It has a wide range of delicately woody aromas where ripe fruit intertwines with notes of butter, vanilla, patisserie and hazelnut, punctuated with a soupçon of smoke. 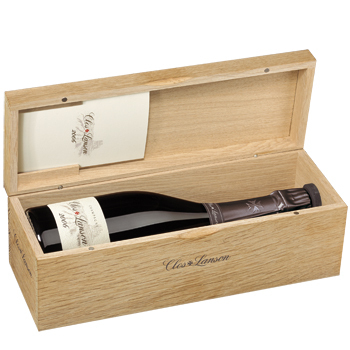 The palate is rich, with concentrated fruit flavours combined with toasted, biscuity notes. The finish remains fresh, with an impressive length of flavour reflecting the noble origins of the grapes. Blend: 100% Chardonnay from the Clos Lanson Plot in Reims.